Flexbright Oy and Sharjah Research, Technology and Innovation Park (SRTI Park) signed a Memorandum of Understanding related to co-operation in business, technology and local presence on January 15, 2019. 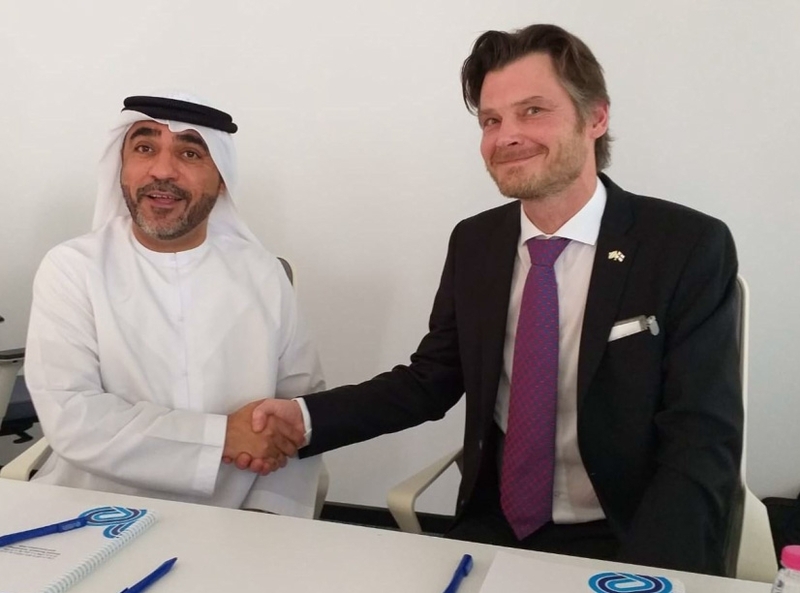 Photo: CEO Hussain Al Mahmoudi SRTIP and CEO Pekka Makkonen FLEXBRIGHT. Al Mahmoudi said: "We are pleased to sign these agreements that strengthen our global partnerships and strengthen our position as a world-class research and technology hub. These partnerships also open new horizons to stimulate and attract international research investments, leading countries in the knowledge economy”.